I've got good news for you wine drinkers out there. You already know that red wine can offer some cardiovascular benefits thanks to its polyphenol content. I do generally recommend you get your polyphenols from a supplement like Advanced Resveratrol Formula rather than trying to drink them, but overall I think drinking red wine in moderation falls in the "can't hurt and helps a little" category. Now research points to another surprising aspect of your health that red wine may benefit. 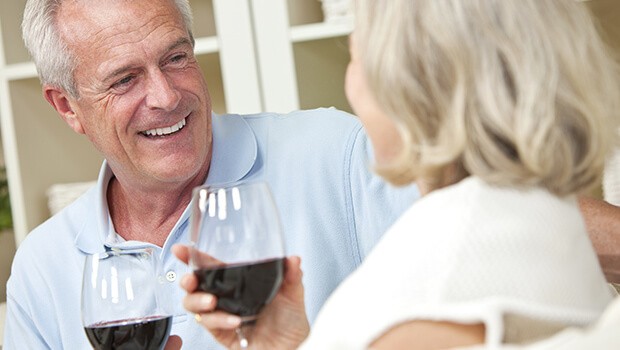 When you think of red wine and oral health, you might first think of stained teeth. And it's true that this is a possibility, so I recommend chasing red wine with water and brushing your teeth soon after you finish your glass. But it turns out that red wine could have some surprising benefits for your mouth as well, particularly related to your gums. Research recently published in the American Chemical Society's Journal of Agricultural and Food Chemistry highlights this connection. The researchers were building on previous research indicating that the polyphenols in red wine can interact beneficially with our gut bacteria. The researchers wanted to determine how the polyphenols would respond to less-friendly bacteria, particularly those found in the mouth that lead to dental plaque, cavities, and periodontal disease. They found that two of the polyphenols commonly found in wine, caffeic and p-coumaric acids, did indeed make it harder for the bacteria to stick to gum tissue cells. 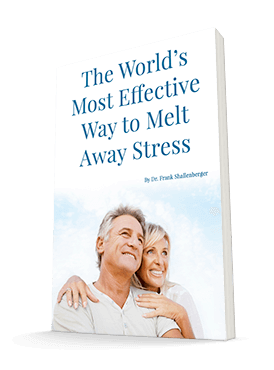 They worked even more effectively when combined with an oral probiotic strain called Streptococcus dentisani. The researchers believe that the digestion process (which actually begins in the mouth) is likely responsible for creating the beneficial metabolites that can fight these bacteria. If you're not a drinker, don't feel that you need to start just to gain these benefits. And if you do drink red wine in moderation, this information doesn't give you license to skip other good oral health habits like brushing and flossing (you'll need to keep those up to counteract stains on your teeth from the wine anyway). But it could help explain all those good reports you've been getting from the dentist!